Great looks, comfortable feel, and immense functionality! 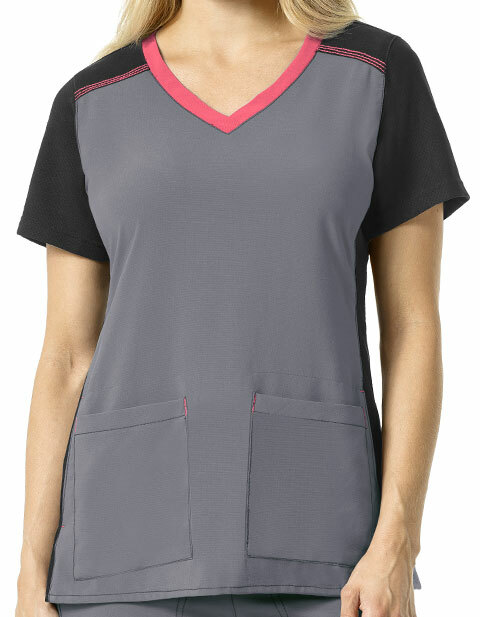 Cross-Flex by Carhartt brings women's knit mix V-neck multi-color scrub top is designed to add value to your personality. Featuring angled front shoulder yokes, and back yoke ensures a perfect fit while the knit sides panels enhance give a feminine feel. 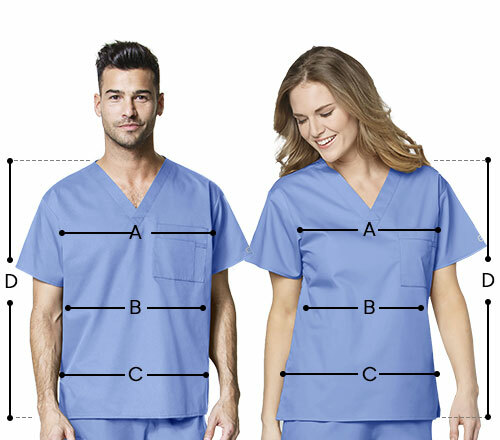 Moreover, the short knit sleeves, side vents, pop color triple-needle stitching, bartacks and multiple pockets; gives this top great functionality.